Drafthouse Films Purchases ‘Act Of Killing’ Followup Documentary, ‘The Look of Silence’! 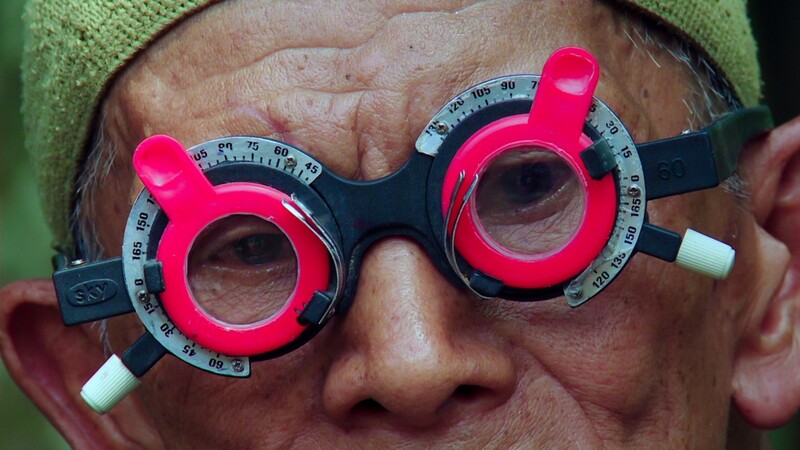 Over at the Venice Film Festival, director Joshua Oppenheimer brought his new documentary ‘Look of Silence‘ to compete in the fest. Oppenheimer’s last documentary ‘The Act of Killing‘ was nominated for an Oscar, and was the best documentary I’ve seen in a very long time. There was a reason why Werner Herzog and Errol Morris put their name on that documentary. It’s the good and that haunting. But it looks like Drafthouse Films and Participant Media have purchased the rights to his new doc ‘The Look of Silence‘. And I couldn’t be happier about that. ‘The Act of Killing‘ showed us the Indonesian mass murderers who are still alive today and regarded as heroes as they re-enact their killings against supposed communists several decades ago. This new documentary follows a man on a journey to confront his brother’s killers. It sounds fascinating and has been widely cheered and applauded at the fest so far. By the look at the clip below, this looks pretty heavy yet amazing. Film Review: ‘The Act of Killing’!!! This entry was posted on Thursday, August 28th, 2014 at 1:38 pm	and is filed under Film, News. You can follow any responses to this entry through the RSS 2.0 feed. You can skip to the end and leave a response. Pinging is currently not allowed. « The ‘X-Men: First Class’ Writers Are Penning the New ‘Looney Tunes’ Movie!